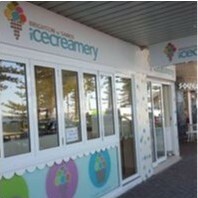 Brighton-Le-Sands Ice Creamery joined our Mission to help provide access to “Clean Water for All by 2030”. This Mission was initiated by the United Nations. A big thank you to Brighton-Le-Sands Ice Creamery’s team and customers for joining this extremely important mission on 27 November 2017. "I absolutely love the ice cream here. We came here today with the family and had a walk along the beach enjoying the convenient location."